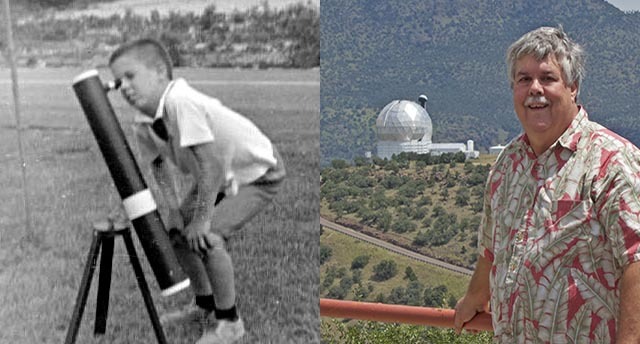 I received my first telescope when I was eight. It was the best gift ever. I've been a lover of the night sky ever since. Developing my own images was a relaxing way to learn skills I needed for my research. I implemented signal processing algorithms as custom integrated circuits for medical applications and digital speech at Stanford and Texas Instruments. Later I built computer aided design and knowledge management systems for MCC and Schlumberger. I now apply what I've learned in computation, electronics, and imaging as an astrophotographer. I also enjoy urban sidewalk astronomy and traveling with my wife for dark sky adventures. The best of my images are optimized for HDR prints using dyes infused into specially coated aluminum sheets. This process produces large format, exquisitely detailed, images. With the contrast and transparency of images in the telescope eyepiece, they capture the excitement and emotional impact of the night sky. My thanks go out to all who've helped me learn and grow along the way.